Clearwater Beach Fishing Charters – Kingfish, Sharks and Flounder. A lot like the spring, fishing in Gulf of Mexico is very good in fall. I run a lot of my inshore fishing charters along the coast. Most of the time we are fishing just a couple hundred yards from the shore. 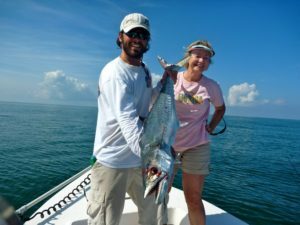 Kingfish have made their way back to the St. Petersburg area along with a another large run of Spanish Mackerel and Sharks. In my opinion the Fall Kingfish run is better than spring, because we tend to catch some larger fish. The King Of The Beach Fishing Tournament is held at this time and is the best fishing tournament of the year for the Tampa Bay area. Believe it or not there are still some Tarpon fishing to be done in the fall and it can be some of the best of the year. I tend to fish a little further north of St Pete Beach towards Clearwater Beach in the early fall over some rocky bottom. October 15th is the beginning of Stone Crab season and the crabbers are out baiting their traps so it creates a giant chum slick in the water and the Tarpon love it. Problem is when you hook up to one of these beast you gotta make sure not to get your line tangled in one of the many crab trap lines out there, it makes for an interesting fight. Don’t be surprised to catch some really nice Gag Grouper while fishing for the Tarpon. In the fall the Grouper come in very shallow, even as shallow as 12 feet. A shallow water Grouper fishing charter off Clearwater Beach is a lot of fun, and of course makes for a great meal. Another tasty fall fish is the Flounder. Flounder lay flat to the bottom waiting for an easy meal to drift over them, as both their eyes rest on top of their head. Some people think you catch them on accident, but if you know their hang outs, you can really fill the boat with them. In my opinion it is the best eating fish we have, but they are a little tricky to clean. 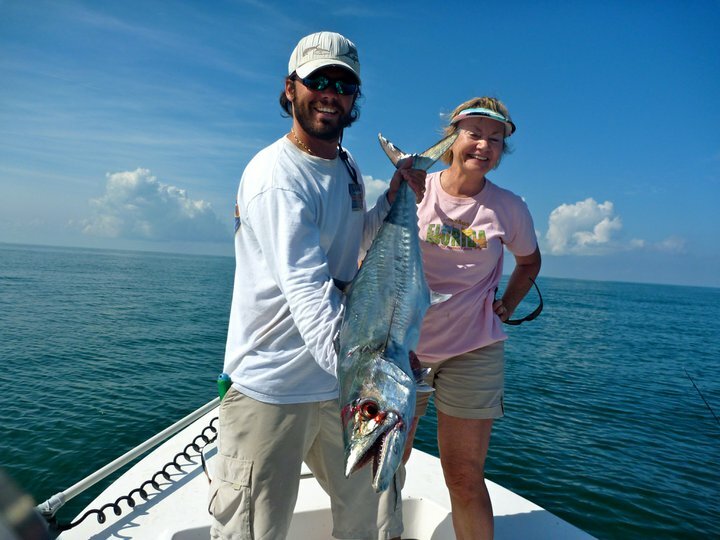 Next post: Summer Fishing Charters in Tampa Bay – It’s Tarpon Season!